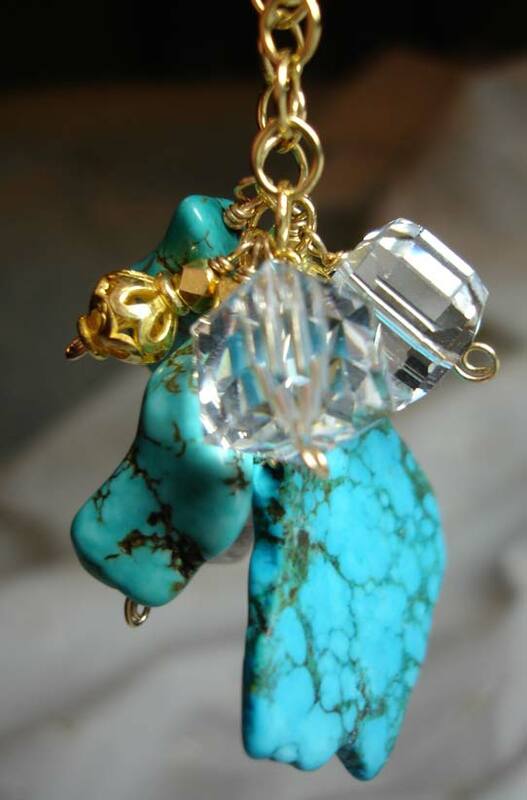 Natural turquoise; gold vermeil filigree beads and nuggets, with Swarovski crystal and rough-cut glass chunks. 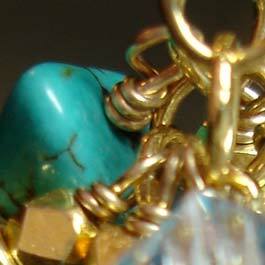 Handwrapped and dropped from a substantial, gold-filled chain. 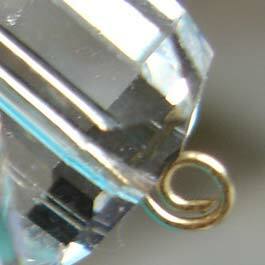 Gold filled toggle clasp w/1.5" extender. Total length 30.5 to 32".